San Francisco, CA, February 11, 2014—Technological knowledge is more important today than ever, with even President Obama asking more students to learn to code. According to Code.org, computing occupations are among the highest-paying jobs for new graduates, yet fewer than 3 percent of college students earn a degree in computer science. In 36 states, computer science classes aren't even high school graduation requirements. There's clearly a disconnect here. Aspiring programmers are often overwhelmed because they think they need to learn complex, text-based languages in order to code. Ultimately, many give up or turn to expensive crash courses, when all they really need is a painless place to start, like this new book from No Starch Press. In Learn to Program with Scratch (No Starch Press, Feb 2014, 288 pp., $34.95, ISBN 9781593275433), readers can learn how to code without getting in over their heads (and without breaking the bank). Computer programming can be difficult, but Scratch makes learning core concepts easy for everyone. At last, the rest of us have a book to build the foundation for code literacy. 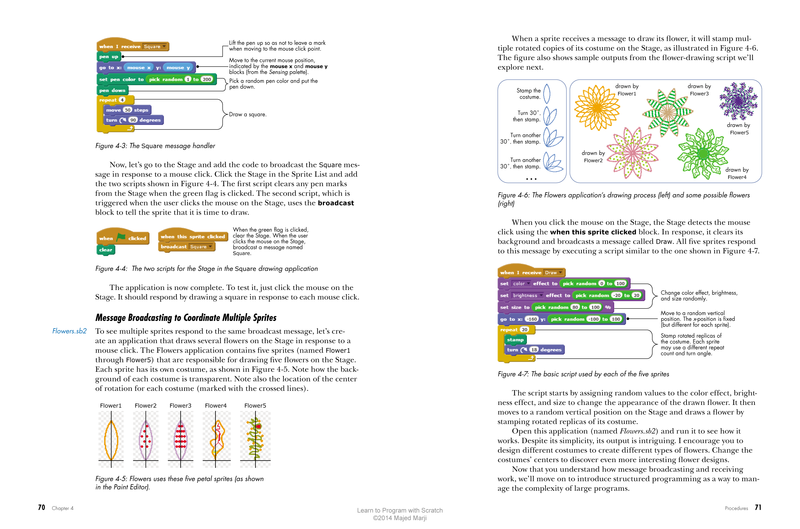 For more information or to request a review copy of the Learn to Program with Scratch, contact KC Crowell at No Starch Press ([email protected], +1.415.863.9900 x100 or visit www.nostarch.com). Majed Marji is a senior development engineer at General Motors and an adjunct faculty member at Wayne State University in Michigan. He holds a PhD. in Electrical Engineering from Wayne State University and an MBA in Strategic Management from Davenport University.